The world's leading manufacturer of peristaltic pumps, tubing and hoses. Founded on nearly 60 years of supplying engineering and process expertise and with over one million pumps installed worldwide, our pumps are tried, tested and proven to deliver. 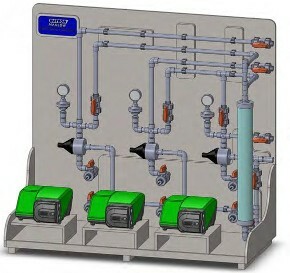 Watson-Marlow’s Chemical Metering Systems are fully customizable to meet any application need. systems and more, are available on request.